Acer is optimistic about the second half of 2012 as the launch of Windows 8 slowly approaches. The company is hoping the operating system paired with new Ultrabooks will help the world’s fourth largest PC vendor by shipments (and the industry in general) regain some lost ground. Trouble started last year when the company was unable to successfully counter the popularity of Apple’s iPad, a product that’s spawned an entirely new market that’s cut into notebook revenue among all manufacturers. Former Acer CEO Gianfranco Lanci ultimately resigned in March 2011 following irreconcilable differences with board members about Acer’s ongoing strategy. During a recent investor call, Acer Chairman J.T. Wang said that he believed Acer’s competitiveness is coming back and before long, his company should regain the number three spot from Dell. Ultrabooks as a whole have yet to take the industry by storm as some expected. Wang says that an inadequate marketing effort by the whole PC industry and the high prices of Ultrabooks are to blame. 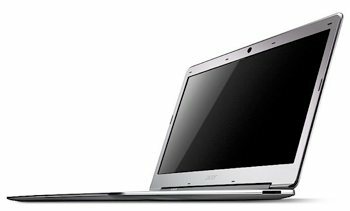 Acer has taken action to make Ultrabooks more affordable, including selling the Aspire S3 base model for $799, a break-even price for the company. The Taiwanese computer giant is planning to release four new models in the second quarter at which time shipments are expected to double. Acer shipped 200,000 Ultrabooks in the quarter ending March 31, down from 260,000 during the fourth quarter. The Chairman expects global PC shipments to grow by double digits by 2013 following slow growth last year and thus far in 2012.